Roughly as accurate as a blood test, and far less invasive. Alphabet's health science company Verily has announced a wide range of projects, from developing smartwatches made for medical studies to mass-producing infected mosquitoes to curb their population. Scientists from the division now have a new endeavor: Assessing heart disease risk by staring into patients' eyes. In a paper (PDF) published today in the Nature journal Biomedical Engineering, researchers explained their method: An AI algorithm evaluated eye scans and, after refining its model with machine learning, was able to predict cardiovascular risk factors like age, gender and blood pressure. This could lead to easier and potentially quicker analysis than a blood test with roughly the same accuracy as current methods. 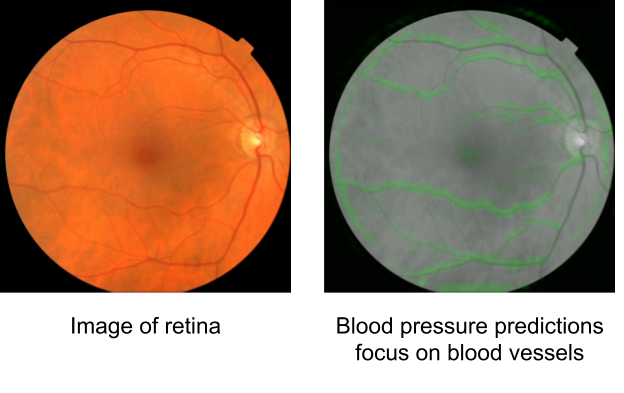 The study isn't without limitations, given that it only surveyed eye images with a 45-degree field of view. More research would resolve whether the model needs to be adjusted for larger or smaller photos, and a larger data set than what the researchers used is more appropriate for deep learning. In other words, it's not yet ready for clinical testing, but it's a promising start for non-invasive evaluation of cardiovascular health.